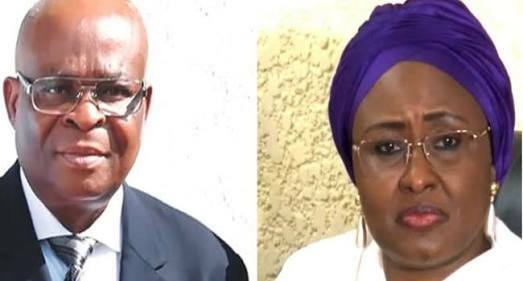 Wife of the President, Aisha Buhari, has denied condemning the recent suspension of former Chief Justice of Nigeria (CJN) Walter Onnoghen by her husband. 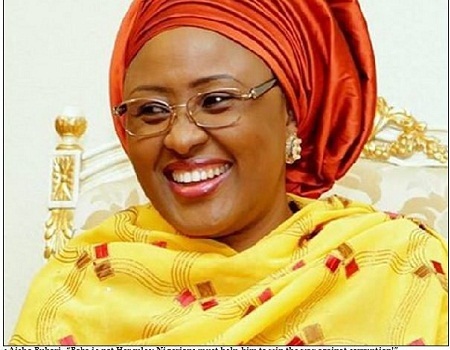 Mrs Buhari in a statement through her Director, Information, Mr Suleiman Haruna, on Sunday in Abuja, described the news making rounds that she condemned Onnoghen’s removal as fake. "The attention of wife of the President has been drawn to a post on social media to the effect that she condemned the suspension of the Chief Justice of Nigeria. "It is important to inform Nigerians that wife of the President has not made any public statements on the matter and therefore the commentary is untrue and fake. It would be recalled that the former CJN was suspended by President Buhari following a 'suspect' recommendation of the Code of Conduct Tribunal.